For Donyell Green, age 33, his new full-time job at an oil refinery in Martinez brought much needed relief. The full-time hours, while physically taxing, meant job stability and enough money to provide for his two young daughters. Yet the refinery still needed to process Donyell’s background check for him to keep the job. When the search revealed a drug possession conviction in 2008, he was let go. “Getting laid off really hurt. It made me feel like I can never move forward with my life because of what I did when I was younger,” Donyell said of his felony charge. 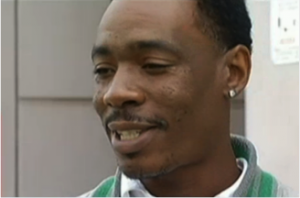 In the years since his conviction, Donyell has had no run-ins with the law. He has also tried to give back to the community, mentoring local youth so they do not make the same mistakes. Yet Donyell’s past continued to impede his progress. For years, he was forced to patch together part-time work because it was impossible to gain full-time employment with his record. He often found himself struggling to make ends meet. “I wanted to give up, but I was determined to live a better life. Raising kids changed me: I want my kids to see me do better,” he said. After the loss of the refinery job, Donyell was adamant something had to change. He heard the news about Proposition 47 and asked his Public Defender for help. They succeeded in reclassifying his 2008 felony to a misdemeanor. The change immediate had a significant impact: Donyell got his full-time job at the refinery back.